The Valora Group has won the travel catering group SSP – The Food Travel Experts as the first franchise partner for its Brezelkönig International food format in Austria. The first store was opened in mid-November 2017 at Vienna Schwechat Airport. Valora wants to grow with its Brezelkönig concept and in recent years has therefore opened various Brezelkönig International sales outlets in Austria. Following a successful start, Valora is giving preference to institutional franchise partners in order to expand into further sales channels in Austria. A first step here has been taken with the opening of the first Brezelkönig outlet at Vienna Schwechat Airport by SSP; the store has been located in the high-frequency F-Gate area since mid-November 2017. Planning is already underway for the further expansion of the network in Austrian high-frequency channels. 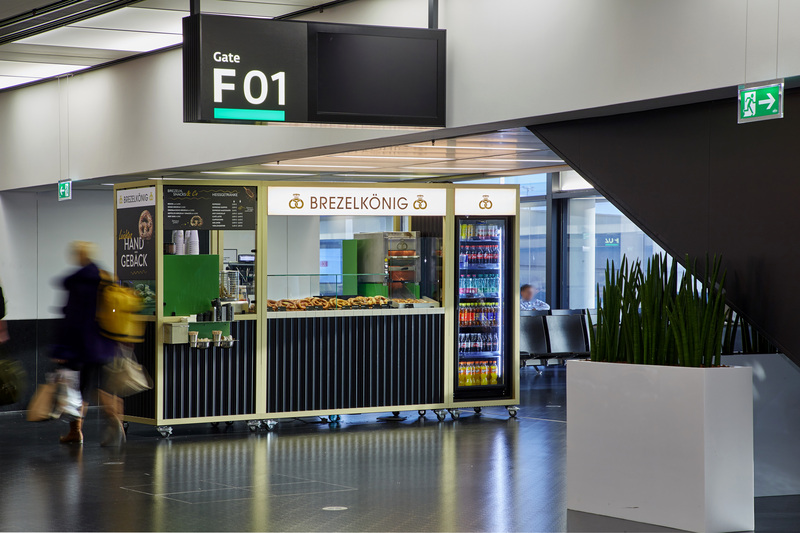 Valora sees great opportunities to grow with the Brezelkönig brand at other transport hubs such as airports and railway stations in Austria. The brand is perfectly suited for the high-performance use of small areas and reflects the trend towards grab & go consumption. Brezelkönig is a company of the Valora Group. Together with the Brezelbäckerei Ditsch, Brezelkönig is a global market leader in the area of pretzel production. At four production sites, products are produced for more than 200 own branches and countless other customers around the world.